"Rice husk ash used in making of concrete canoe," by Dr. Narayan P. Singhania. The Universite Laval is one of the most successful teams in the world and team members recently published an article in the Journal of Materials in Civil Engineering that describes some of the materials used to construct one of their canoes. Morency M., Paradis F., "Lightweight shotcrete canoe: use of viscosity modifying admixture and acetone as artificial paste," Journal of Materials in Civil Engineering, 18(3): 361-366 (2006). Laval hosts our Photo Gallery and Video Collection. Thanks for your continued support! "A brief history of concrete canoeing," by John Gilbert for Concrete Canoe Magazine, Vol. 1 No 1, pp. 6-10 (2006). This poster, currently for sale on E-Bay, is vintage 1994. It shows Team UAH's "Defender" in the foreground with Jeff Lindner in the stern and Charles McDowell in the bow. UAH's attempt to defend their first national title marked the only time in NCCC history that a team swept the competition by winning every event. The University of California - Berkeley placed second, followed by host New Orleans, South Dakota School of Mines & Technology, and Clemson University. Last year, the Badgers introduced a punch shear test to model the loads under their paddlers' knees... but the ballistic test depicted above goes way beyond that. Which school performed this test and why was it done? To the right... "Watch It Wiggle!... See It Jiggle!" If things didn't go too well for your team at the regional level... you may want to take 13 minutes or so to watch the video segment included in the Concrete Canoe section of the University of Wyoming's Regional Report during which their team capitalizes on a unique approach developed by Bolder. Now there's an example of fortitude, fun, and innovation all rolled into one... proving once again that life isn't always easy... but it sure can be fun! The faculty associated with every good academic program continually strive to improve quality and gain recognition... and Dr. Safai of Salt Lake City's Community College is no exception. "A Canoe Made of Concrete and A Bridge Made of Steel,' highlighting the Student Club at Salt Lake City Community College and written by Ryan Roosendaal for the Globe on November 30, 2005. The fact is... some of the nation's most successful competitors have relied on the efforts of their ASCE student club to glean the recognition and support that they needed to secure ABET accreditation for their program... and subsequent elevation to chapter status. This cartoon from the early 1970's reflected the fact that concrete canoeing was initially promoted as a spoof to glean public attention. 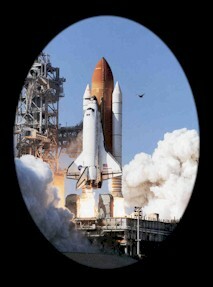 But, since then, the revelations made while developing lightweight cementitious composites for this unique sport have radically changed the world in which we live. written by Francis Young with updates by John Gilbert, ConcreteCanoe.org, revised August, 2005. "Flexible concrete might sound like a gimmick, but most concrete fails because it is brittle, so cracks develop over time, and eventually become catastrophic." "Bendable Concrete," posted July 20, 2005 on WorldChanging by Jeremy Faludi. Gilbert, J.A., Ooi, T.K., Biszick, K.R., Marotta, S.A., Vaughan, R.E., Engberg, R.C., "Strategically tuned absolutely resilient structures," Proc. of SEM Annual Conference & Exposition on Experimental and Applied Mechanics, Portland, Oregon, June 7-9, 2005, Paper No. 222, 14 pages. The University of Wisconsin - Madison chalked up an unprecedented third consecutive win! Clemson's 3CT finished an impressive second followed by Michigan Tech, the University of California at Berkeley, and the United States Military Academy at West Point. Follow-up to "The Front Line"
"Mixing Concrete, Canoes and Racing," Newtown Advance, July 15, 2005 by Steve Sherman regarding Tulane's participation in the competition. "Area Students Enter Boat Event," Ironwood Daily Globe, July 13, 2005 regarding Michigan Tech's participation in the competition. "Ue Concrete Canoe Floats to 3rd Place," RED NOVA, July 1, 2005 regarding Evansville's participation in the competition. "Aggies Finish In Top 20 In National Concrete Canoe Competition," KWTX.com, June 28, 2005 regarding Texas A&M's participation in the competition. Joan Buhrman, ASCE, Kelly Mawby, Degussa, Susan Polowczuk, Clemson, "Badger's Determination to Three-Peat Solid as a Rock" June 27, 2005. "Clemson Students Pour Concrete Canoes for Contest," The State.com, June 25, 2005 by Caroline Smith regarding Clemson 3CT's participation in the competition. "Whatever floats your (concrete) boat: Twin brothers from Ashland will compete in South Carolina engineering contest," MetroWest Daily News, June 24, 2005 by Theresa Freeman regarding Wentworth's participation in the competition. "Concrete Canoe Champ," The Examiner, June 23, 2005 by Nat Friedland regarding UC Berkeley Bear's participation in the competition. "Using solid concrete to float on the water," Dailey Trojan Online, April 5, 2005. "ASCE students from Carroll, Tech to host conference April 9," Helena Independent Record, April 2, 2005. "Student engineers put skills to the test this weekend during SIUE competition," written by Nicklaus Lovelady for bellevillenewsdemocrat.com on April 1, 2005. "Concrete canoe provides challenge," written by David Skolnick for Vindy.com on March 31, 2005. "Fun is Serious Business during Upcoming Engineering Student Competitions," Capital University News, March 16, 2005. Clarkson University Press Release, courtesy of Newswise.com, Wednesday, March 16, 2005. "Concrete Canoes Cruise Into Clemson," ASCE/Degussa Admixtures Press Release, March 11, 2005. "Concrete Canoe Group Strives to Float Its Boat," written by Steve Sanders on March 2, 2005 for the Dailey Californian. "A Concrete Canoe With All the Right Ingredients," USC Viterbi COE News, March 2, 2005. "Concrete Canoe Group Strives to Float Its Boat," Dailey Californian, March 2, 2005 by Steve Sanders regarding UC Berkeley's preparation for the competition. Vanderkam, Laura, "Light as a feather, hard as a rock," edited by Mr. Fran Lostys for the March Issue of Readers Digest - A short article on concrete canoeing. 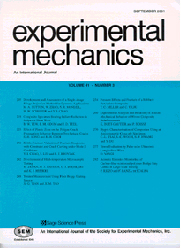 Ooi, T.K., Gilbert, J.A., Bower, M.V., Vaughan, R.E., Engberg, R.C., "Modal Analysis of Lightweight Graphite Reinforced Silica/Polymer Matrix Composite Plates," Experimental Mechanics, 45(3): 1-5, 2005. 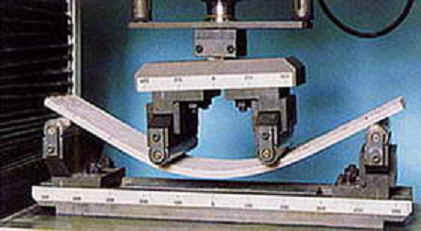 Ooi, T.K., Engberg, R.C., Gilbert, J.A., Vaughan, R.E., Bower, M.V., "Modal testing of a lightweight cementitious structure," Experimental Techniques, November/December, 2004, pp. 37-40 - modal analyses of Team UAH concrete canoe. Paradis, F, "Analyse du comportement structural d'un composite mince en béton. Analyse du comportement structural du canoë de béton," M.S. Thesis, Universite Laval, 2004 - empirical testing and analytical modeling to investigate and understand a concrete canoe’s reaction to static and dynamic loading conditions. "In pursuit of a national concrete canoe title," by John Gilbert in Oldcastle News, Volume 2, Number 1, January 2004, p. 11. Texas A&M - Promotional Video for their 2004 NCCC entry, "Silent Pride." Team UAH envisions enhancing their boat's swimming motion by incorporating new developments in hydrodynamic design so that they move through the water at incredible speeds like dolphins swimming in the ocean. What is their underlying technology called and how is it being advanced? Team UAH - Swimming Boat - computer animation of their 2004 NCCC entry, "Conquest." "Paddling Their Own Canoe," Sooner Magazine, June 12, 2004 - OU prepares for the 2004 NCCC. Marotta, S.A., Ooi, T.K., Gilbert, J.A., "Structural health monitoring of strategically tuned absolutely resilient structures (STARS)" (PDF Download; 161 KB), Proc. of the 2004 SEM X International Congress & Exposition on Experimental and Applied Mechanics, Costa Mesa, California, June 7-10, 2004, Paper No. 172, 6 pages. Raut, A., Gilbert, J.A., Ooi, T.K., "A method for producing structurally equivalent graphite reinforced cementitious composites" (PDF Download; 119 KB), Proc. of the 2004 SEM X International Congress & Exposition on Experimental and Applied Mechanics, Costa Mesa, California, June 7-10, 2004, Paper No. 173, 6 pages. "Catholic University Hosts National Concrete Canoe Competition," Concrete Products Magazine, May 2004 - “Celebrating Concrete!” will showcase the engineering ingenuity that has taken concrete from sidewalk surfaces to new and innovative applications. "Concrete canoes: the start of things to come," by Alan Burr in The Structural Engineer, December, 2003, pp. 28-29. Ooi, T.K., Vaughan, R.E. Gilbert, J.A., Engberg, R.C. Bower, M.V., "Dynamic characteristics of highly compliant graphite reinforced cementitious composite plates" (PDF Download; 84.3 KB), Proc. of the 2003 SEM Annual Conference & Exposition on Experimental and Applied Mechanics, Charlotte, North Caroline, June 2-4, 2003, Paper No. 133, 7 pages. Ooi, T.K., Engberg, R.C., Vaughan, R.E., Gilbert, J.A., Bower, M.V., "Experimental and numerical investigation of the dynamic response of highly compliant, polymer-enhanced, graphite reinforced cementitious composites" (PDF Download; 278 KB), Proc. of the 2003 SEM Annual Conference & Exposition on Experimental and Applied Mechanics, Charlotte, North Caroline, June 2-4, 2003, Paper No. 135, 6 pages. Jeffrey Russell at UW-Madison, "Bail Out Concrete Canoe Race," VIEWPOINT section of McGraw-Hill's enr.com - faculty support... the secret to University of Wisconsin - Madison's success, June, 2002. "Like a Rowing Stone" by Michael Behar, Smithsonian Magazine, December, 2002. "Concrete Submarines" by Jim Wilson, Popular Mechanics Magazine, 1998 - cheap and deadly, these stealthy boats could shift the balance of naval power. "Concrete Rockets", Web News, April, 2002 - a group of students built, launched, and recovered the world’s first concrete rocket. John A. Hartsock - "The Cosine Wherry - One Man's Approach to Boat Design" - article describes a method used to build a rowboat that takes displacement into account. "Lessons from the Geese" - a note on teamwork. Reorganizing for nationals and want a good laugh? Read about the Quality First approach. As mentioned in "For the Record," there have been only seven schools to win the U.S. ASCE/MBT National Concrete Canoe Competition (NCCC). Universite Laval has won the Canadian National Concrete Canoe Competition (CNCCC) seven times and has placed second in the NCCC three times. Most of the national champions have developed very mature web sites that include detailed histories of past performances. They often include photos, stats, scoring breakdowns, highlights, objective reviews, commentary, and competition summaries. So why not take a moment and get to know your competition? ConcreteCanoe.org - "2009 NCCC Vital Statistics - Presentations and Boats" - photos of boats, questions posed during oral presentations, race coverage, and commentary from 2009 ASCE National Concrete Canoe Competition in Tuscaloosa, AL. ConcreteCanoe.org - "2008 NCCC Vital Statistics - Presentations and Boats" - photos of boats, questions posed during oral presentations, race coverage, and commentary from 2008 ASCE National Concrete Canoe Competition in Montreal, Quebec. ConcreteCanoe.org - "2007 NCCC Vital Statistics - Presentations and Boats" - photos of boats, questions posed during oral presentations, race coverage, and commentary from 2007 ASCE National Concrete Canoe Competition in Seattle, WA. We're celebrating our 6th anniversary! If you have something to add, please contact us. We need your help to make this site a success! If you want to volunteer, contribute, suggest, and/or comment on what should or should not be included here, please let us know.